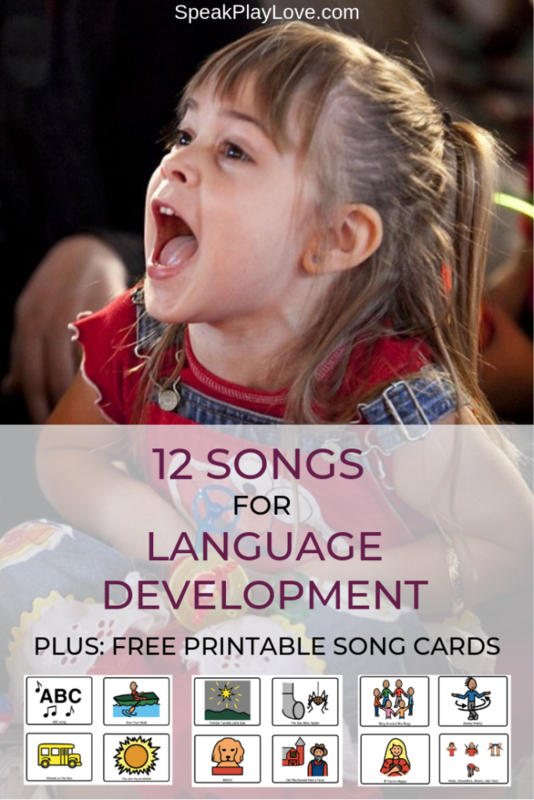 12 Children's Songs for Language Development - Plus a Free Printable | Speak. Play. Love. Want to light up your little one’s face? Try singing a fun, children’s action song for language development! Not only are they a wonderful way to connect with your child, but they are free, don’t require any toys, and you can sing pretty much anywhere. What is the importance of singing to your child? Children’s songs naturally lend themselves to working on language development through building vocabulary, repetition, language memory, and creativity. Songs with actions and movements built-in can work on gross motor development as well! Place the cards in a 4×6 photo album and let your child flip through the pages to pick a song. This is a perfect song to get some of those first words out! Try singing the song while you hold hands and walk in a circle (It’s fine if there’s only the two of you) and of course fall down at the end. Do this 2-3 times to familiarize your child with the game and song. Then, once your child knows what is coming and is looking forward to the falling down part, use an Expectant Pause before you say, “down” and fall. That will give him the chance to say “down” so that he can get to the fun part! You can read more about the expectant pause here. 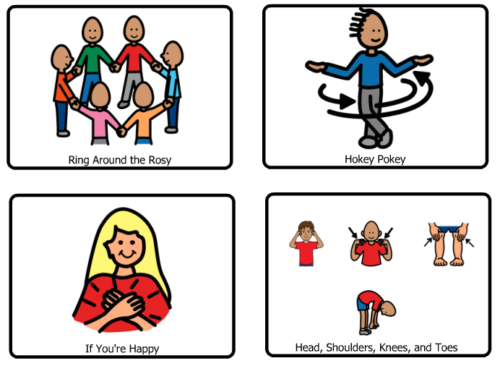 The Hokey Pokey is great for gross motor movement (i.e. Getting the wiggles out!) and for learning body parts. For younger children, you might just want to stick to arm, leg, head, and body. But for older kids, it’s the perfect time to work on learning left and right too! This song teaches emotions and beginner gross body movements through actions. To incorporate emotions, make an exaggerated happy/mad/scared/sleepy face for your preschooler to copy. After the song, you can talk about different things or times that make you feel each of those emotions. For younger kids, focus on teaching following directions or imitation skills with the movements clap, stomp, and arms-up. This is another song that’s perfect for learning body parts and imitation. I suggest slowing it way, way down as you sing until your child is successful and then slowly speeding it up until it ends in a silly mess of pointing! It’s sure to get the wiggles and the giggles out! This sweet, classic song is nice for teaching your child imitation of the gestures. See the video below if you want to learn the gestures. 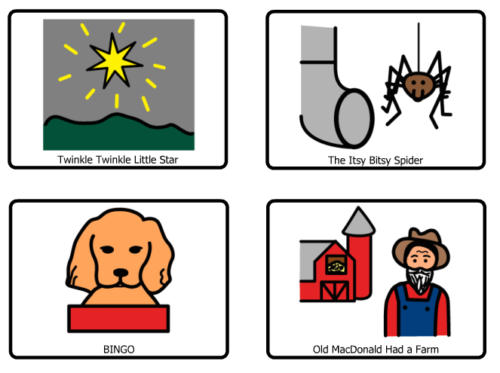 Bingo is ideal for children with beginning letter awareness. 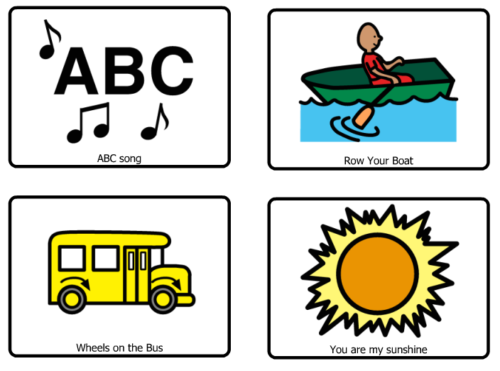 Because there is lots of repetition, they can get familiar with singing letters out of the order of the ABC’s song! This one can be fun for younger kids too by working on the number of claps – at the beginning of each stanza, pause and tell your child how many claps there will be. This classic is one of our favorites! To start, you can work on animal sounds. Put in some pauses to see if your little one can make the animal sound or copy the sound you make. As your child progresses, have him tell you which animal you should sing about next! Before Sylvie could say an animal name, we used the animals from a farm play set we had around the house as a props during the song or to make choices about the next animal! Great for early literacy and of course learning the names and order of letters, this soothing tune can be started as early as your little one enjoys hearing it! As she gets older, pause to let her fill in letters. 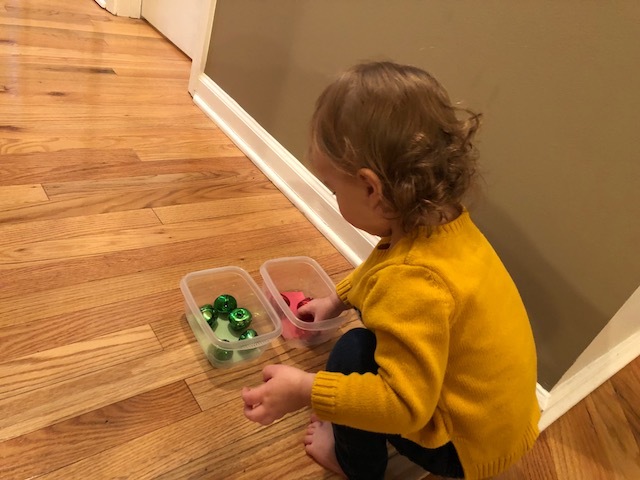 Sometimes I pair this one with Sylvie’s favorite letter puzzle or foam letters in the tub by singing a few letters and then stopping at one to see if she can find the letter. “A B C D. . .Where’s the D?” You can make this easier by just putting out the target letter or just 2-3 letters as choices. I like the version of this song that incorporates animal sounds and ‘screaming’ – the more interactive the better! You can also sit or stand facing your child and hold both hands as your rock back and forth as you sing this song. Love Love Love this one! It really grows with your child. 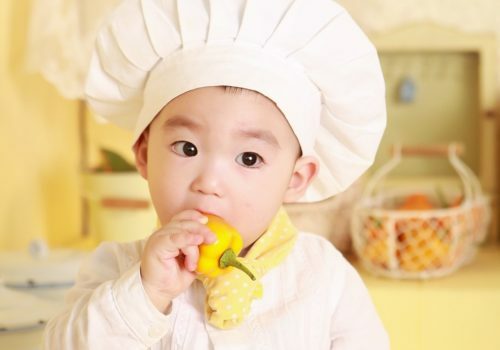 For toddlers, you can have start with working on imitating the actions. When that is mastered, you can make it more challenging by asking your child what should be next. And older kids can get really creative by making up new things that can happen on the bus! This is great for creativity and flexible thinking – as well as working on describing skills! I usually just sing this one quietly before bedtime (and try not to get a lump in my throat – it’s a super sentimental one that Sylvie requests a lot). I love to hear from readers – Please comment below! What is your favorite children’s song to sing with your little one? 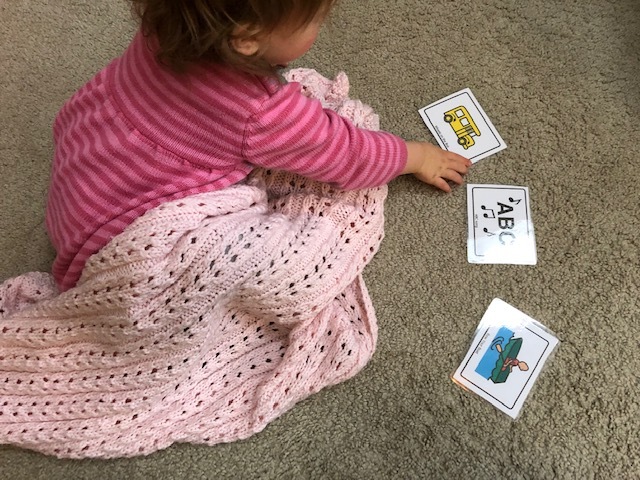 Although I sing lots of songs to my 5 m.o., I have never really thought about how they help him develop language – what a great point! I especially like the Row Row Row Your Boat with animal sounds – his favorite song right now is Old McDonald (I suspect bc of the animal sounds) but we are getting a little tired of singing that over. and over. and over again LOL. I will have to try Row Row Row Your Boat with him! I start every year with these songs for my K classes. 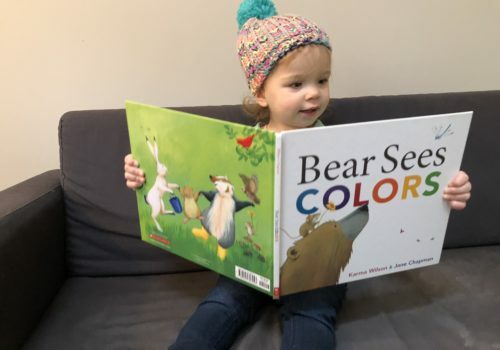 As they are almost all monolingual, to some extent English speaking and others not at all, this helps with pronunciation, phonemic awareness, and is a great starter to reading. Later we sing Apples and Bananas for vowel recognition and sounds. Kids love it and it does get the wiggles out!